A step above standard San Antonio Riverwalk Restaurants, El Tropicano boasts three unique spots to drink and dine. From breakfast at Mango’s to libations and light bites at Tiki’s to coffee and grab-and-go snacks at Espresso’s, everything you’re craving is readily available without ever having to step outside our hotel. 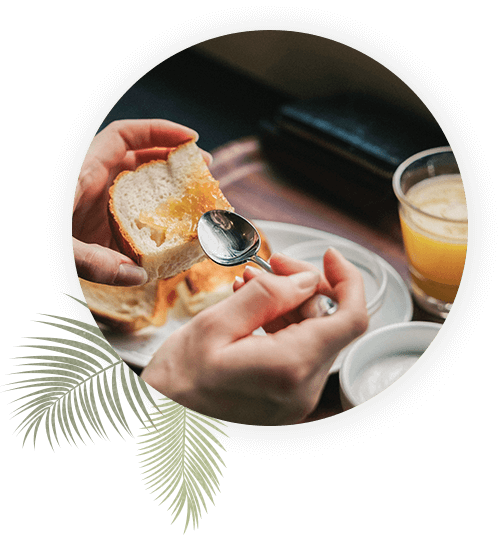 Mango’s offers a sumptuous daily breakfast buffet featuring all your favorite foods, including fluffy scrambled eggs, savory sausage and applewood smoked bacon, hash browns, fresh yogurt and fruit, cereal and juice. Belly up to the lobby bar for appetizers, libations, and light bites. Tiki’s Lounge serves up specialty drinks and a fine selection of local craft beers that can be enjoyed from inside the lounge or overlooking the Riverwalk from the veranda.